How to Stream Video from Mac to iPad? 4 Ways! Imagine yourself having some movies on your Mac that you want to transfer to your iPad. Or, say you want to access your Mac's hard drive wirelessly from your iPad. So what is the best way to do this? Well, in this post you'll discover 4 ways by which you can stream videos from Mac to iPad. Transfer files between iPod and iTunes library, between iPod and Mac without losing data. Share purchased and non-purchased iPad files in unlimited iDevices, including various Apple IDs. 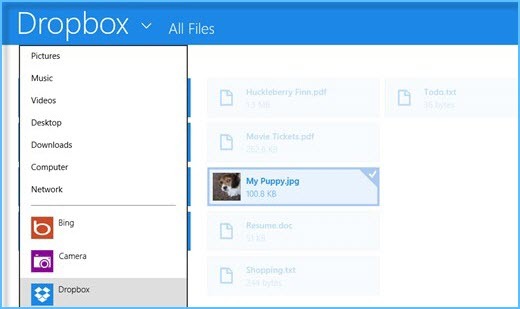 Smart iPad file management: adding new files, deleting unwanted files, saving, extracting, importing, editing, etc. 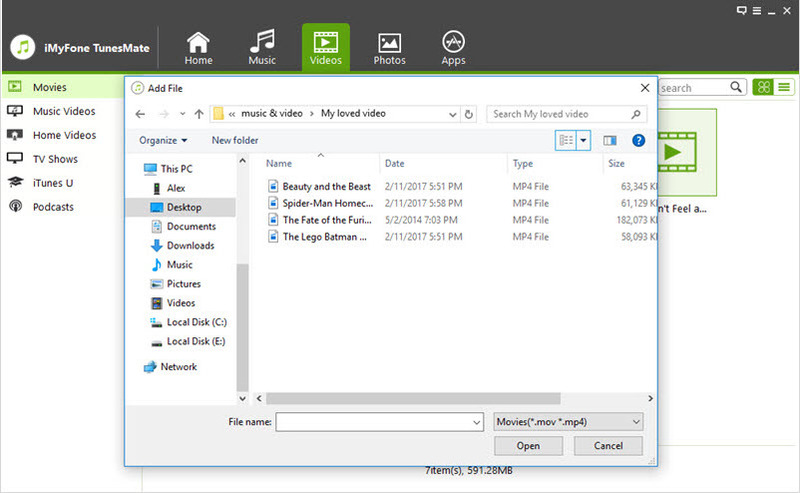 Preview and access all types of media files on your iPad, including music, movies, TV shows, podcasts, audiobooks, albums, playlists, iTunes U, photos, etc. To stream video with TunesMate, you need to connect your iPad to mac with a USB cable. To make the process simple and straightforward, kindly, follow the following steps. Step 1: Launch TunesMate on your Mac. Connect your iPad to your Mac with a USB cable. Step 2: TunesMate will remind you to trust the Mac on your iPad. Unlock your device and tap on the "Trust" button from the pop-up window on your iPad. Once done, TunesMate will automatically detect your iPad. 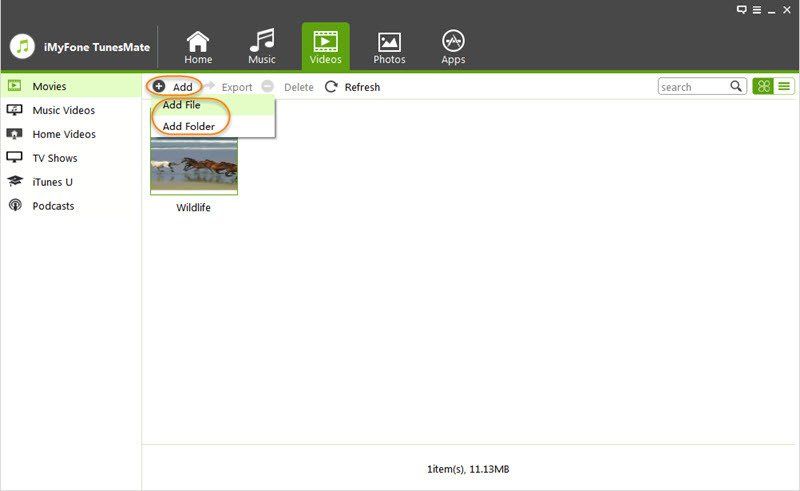 Step 3: Now select Videos tab in TunesMate dashboard and then select the video files you wish to stream. Step 4: After making the selection, you can click "open" to stream Mac videos to your iPad. Step 5: The Process will kick start. There is another way to stream mac video to iPad. In this method, you will need to use Apple’s iCloud Photo Library for the transfer. 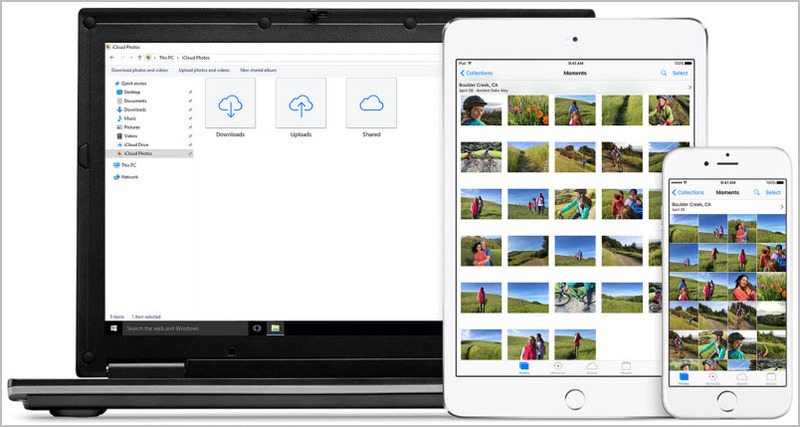 ICloud Photo Library automatically uploads photos and videos from your Mac to your iCloud online storage. Launch the Settings app on your iPhone and navigate to the Photos section of the iCloud option and enable the iCloud Photo Library. Step 2: Visit icloud.com on your laptop’s web browser. Now click on Photos option available in the sidebar of the website. You will see a list of your uploaded photos and videos. Alternatively, you can also use Photos and Albums option if you can’t find Photos option in the sidebar. Step 3: Select the videos you wish to stream on our iPad and then upload it (cloud icon available at the top). You can either stream Unmodified Original format from the videos, or there is also an option to stream them in the Most Compatible format. Choose any option you wish, and your streaming will start. Step 2: Now select the videos on your Mac that you wish to Stream on your iPad and then upload them to your Dropbox account via Dropbox app. Step 3: Once your videos are uploaded, use Dropbox app on your iPad (log in using the same ID) and navigate to your uploaded videos. Then select and stream them on your iPad. 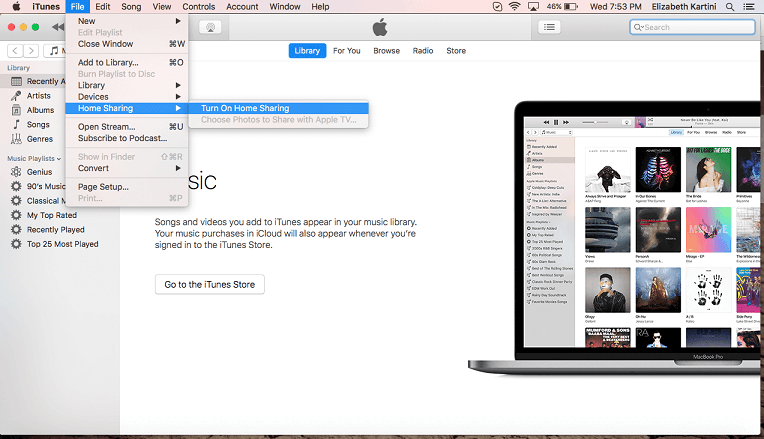 The first step in streaming videos between Mac and iPad with iTunes is to enable iTunes home sharing. It's easy, and once you've taken steps to activate the parts at home, you'll wonder why you have not always turned it on. Click on "File" in the iTunes window to open the menu. Move your mouse to "Home Sharing" and then click on "Turn on Home Sharing" in the submenu. Click to turn on Home Sharing. You will be prompted to sign in using your Apple ID. This is the same email address and password used to sign into your iPad when purchasing apps or music. That's it. Home Sharing has been turned on for your Mac. Remember, Home Sharing is only available when iTunes is running on your computer. After setting up home sharing in iTunes, it's pretty easy to use on the iPad. On the left-hand side of the screen is an option list. Scroll down until you see "Videos." After you tap "Video," a pop-up window will appear with Video settings. At the bottom of this new screen is the Home Sharing section. Tap to "Sign In." You will be needed to sign in using the same Apple ID email address and password as used on your Mac.